The holiday season is upon us! It’s a fun and festive time of year. Holiday lights are lit brightly on homes, stores, and malls. Christmas music is blasting pretty much everywhere and the weather is finally getting cool and crisp. Nothing says holiday more then a cup of delicious hot cocoa. 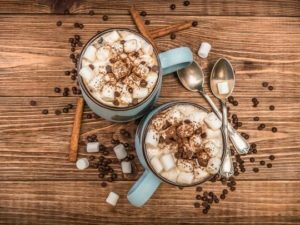 If you’re looking to get into the holiday spirit and enjoy a cup of chocolaty goodness, here are the top 5 places for hot cocoa on the East Coast. Holiday at the Jersey shore? If you find yourself in Point Pleasant this winter, make sure you check out Green Planet café. They have a variety of hot chocolate drinks. Not only are these hot chocolates the perfect accessory as you shop the Boulevard, but they also make a pretty tasty dessert. Chocolate is still the star of the show, but they also add drizzles of caramel, peppermint, mocha and coconut. This is a serious holiday treat! Another seaside gem that really knows how to keep you warm and cozy while still watching those waves crash on the beach. The Asbury Park Roastery makes a super rich hot cocoa that uses a blend of spices, handmade cocoas and hot pepper. All of the ingredients combine really make for a special holiday drink. Looking for a gourmet cup of hot cocoa? Visit the Bent Spoon in Princeton NJ. The hot chocolate is super rich made with 60% cocoa, thick, and creamy. They also have a rotating menu of flavors. Made with all local NJ ingredients you can order a lavender and hazelnut cup of hot cocoa! Want to stick with the classic? No problem, it’s amazing. 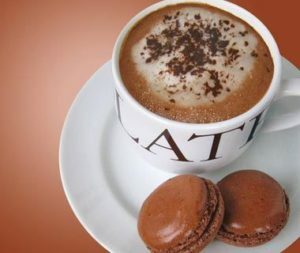 A staple café in Montclair NJ keeps things real with a special cup of hot cocoa made with Belgian chocolate. Sometimes simple is best. Chocolatier Genevieve Meli’s has created the perfect blend of a high intensity chocolate mixed with white chocolate for some added creaminess. If you’re a big fan of chocolate, then you’ll want to check this place out. 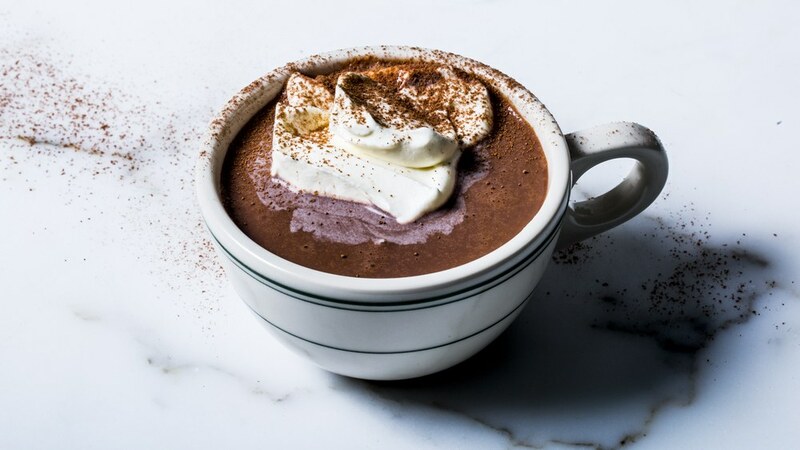 Known for their “single source” hot chocolate, it’s a super rich and intense drink. The hot chocolate is served European style which means it’s pretty much a cup of melted down chocolate. YUM. A touristy café can’t take away that Serendipity III is known for some of their outrageous menu items. One of them is the Serendipitous Hot Chocolate. A huge cup of hot cocoa topped with whipped cream, grated orange, cinnamon and shaved French chocolate. The Thinking Cup is known Boston coffee shop. In fact, NYT Food and Wine Magazine had named it the number one coffee in the world. If that doesn’t intrigue you a little, we’re not sure what will. Clearly their baristas know what their doing, try one of their hot chocolate drinks the next time you’re in town. If you find yourself o the East coast this winter, be sure to track down one of these places to enjoy a warm cup of chocolate goodness. If you find a new place you think WE should try, upload a photo to our app. We’re always looking for a new place to try. No Replies to "Top 8 Places For Hot Cocoa On The East Coast"